Poor Felipe Massa just couldn’t catch a break on Sunday afternoon. After making a semi-decent start, he was clouted by the McLaren-Honda of Fernando Alonso as they swept around T2. The contact left Massa with a front-right puncture. Much later in the race, and to everyone’s amusement, Stoffel Vandoorne used the sister McLaren-Honda to batter the left-hand side of Massa’s Williams. Massa quickly declared the move was ‘unbelievable’ over the radio, while Vandoorne sheepishly waffled to the world he was sorry. Once again the small team based in Silverstone prove to be the best bang for buck on the grid. 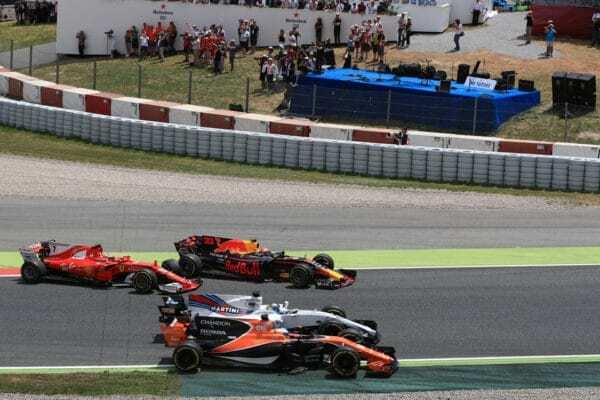 The Spanish Grand Prix was the team’s eighth double points finish in a row, a streak that began back in the Mexican Grand Prix of last year. 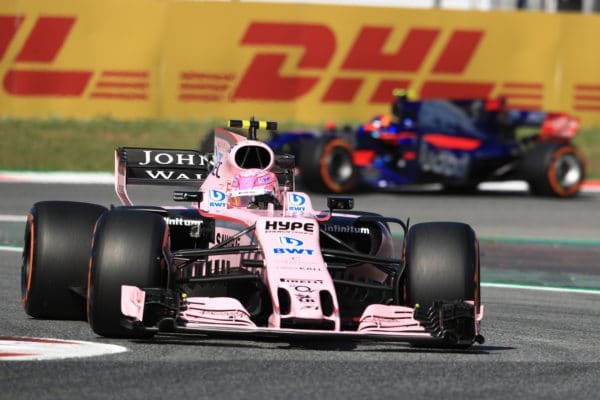 It doesn’t need Inspector Clueso to work out that Force India’s ‘pink panthers’ are punching well above their perceived weight at the moment – already they have more than double the points of Toro Rosso and Williams. Next up is Monaco, scene of Sergio Perez’s first podium of 2016. Can he repeat the feat in 2017? We wouldn’t bet against it! 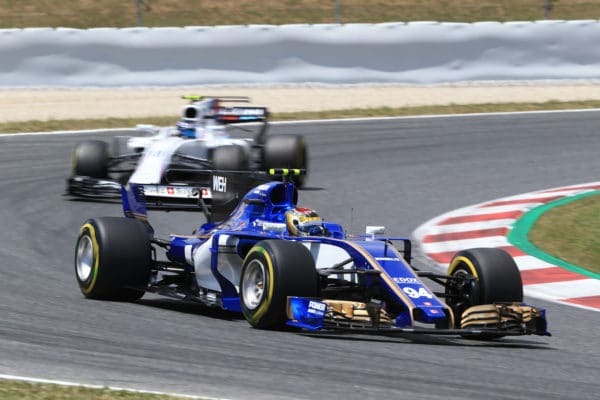 After they announced they’d be using year old Ferrari engines in 2017, few gave Sauber much hope of scoring points during a relatively normal Grand Prix. Perhaps those people had never heard of Sauber’s ace card, Ruth Buscombe. Buscombe is the team’s senior strategy engineer having moved over from Haas last year. Back then she helped Haas score their maiden points in Australia with a bold one-stop strategy. In Barcelona, she attempted the same trick with Pascal Wehrlein’s Sauber. It appeared to be working brilliantly, Wehrlein had risen as high as fifth in the order. Then a virtual safety car was called to rescue Vandoorne’s stranded McLaren leaving Buscombe with a headache. A very late call was made for Wehrlein to pit under the much slower virtual safety car conditions. Unfortunately, Wehrlein went the wrong side of the bollard on pit entry and earned himself a five second time penalty. The Mercedes young driver kept his head, however, and he would eventually finish seventh on the road. 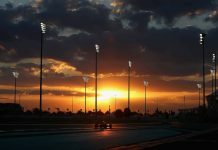 His penalty meant eighth in the classified standings, and a valuable four championship points for Sauber, who now leave McLaren-Honda trailing in last place. After his torrid time recovering from his injuries sustained in the Race of Champions, it was a perfect response from Wehrlein to his doubters. If he keeps this kind of form up, it will provide his bosses at Mercedes with a dilemma in 2018. After three years of Mercedes dominance, fans had been crying out for another team to join the Silver Arrows in a championship battle. 2017 finally seems to be the year to deliver the goods as once again Lewis Hamilton and Sebastian Vettel went head-to-head for the win in Spain. For the first time in the turbo hybrid era, a Mercedes actually had to pass a car from another team on track for the win. Hamilton blasted by Vettel, with the aid of DRS, on lap 44 after a tense duel at the end of the final stops. 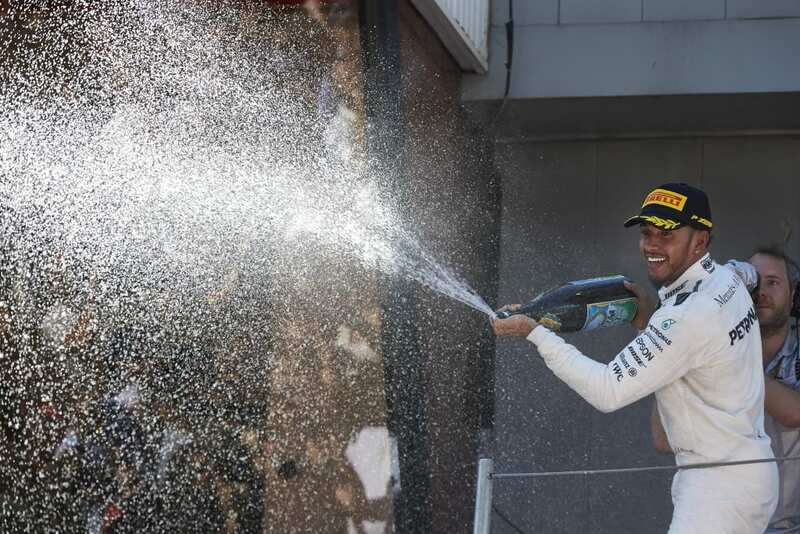 After the race, Hamilton called his battle with Vettel ‘the rawest’ he could remember in some time. Vettel even had the chance to overtake a Mercedes himself as he put a wonderful move down on Valtteri Bottas on the main straight. The Ferrari jinked left, right, left and actually strayed onto the grass as Bottas desperately fought to keep Vettel behind. Sadly Bottas retired from the race with engine failure a few laps later. It’s set the tone perfectly as Formula One heads to its jewel in the crown, Monaco, in two weeks time. With overtaking just about impossible around the principality, qualifying on Saturday should be an absolute corker! Forget the Milky Bar kid, today was all about the Ferrari kid who won everyone’s hearts. 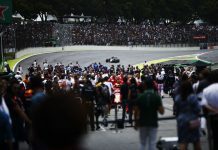 After Kimi Raikkonen was eliminated on lap one the cameras quickly cut to the fans in the main grandstand. In among them was a little boy by the name of Thomas David, who was in tears because his hero was out of the race so soon. It is a feeling we’re sure most F1 fans can relate to at some stage in their lives. Social media was quickly ablaze with people feeling sorry for the little guy and it didn’t take long before some were asking Ferrari to get him a cap signed by Raikkonen to cheer him up. A few laps later, just after Vettel put that electrifying move on Bottas we again saw Thomas. This time though he had a beaming smile, clearly cheered up by Vettel regaining the lead. Many thought that would be the last we’d see of Thomas. However, behind the scenes, Ferrari were up to something very special. Just before the end of the race, we saw Thomas for the third time. It wasn’t in the stands this time though. Ferrari had given Thomas and his parents some paddock passes and organised for him to meet his hero Raikkonen. The Finn even gave the little boy his cap proving he can be more ‘nice man’ than ‘Iceman’. Twitter was full of people praising the new, more friendly F1. Would Thomas have been given the opportunity of a lifetime under Bernie’s watch? We aren’t so sure. Let’s hope we see more young F1 dreams come true in 2017!